EpicLinen for cozy home: Le Pain? Mais oui! I hope everything is good at your end! It's been pouring of rain for few days... grrr... and the worst is that it kept going non-stop! It's clearly colder and damper this year accordingly to last year. 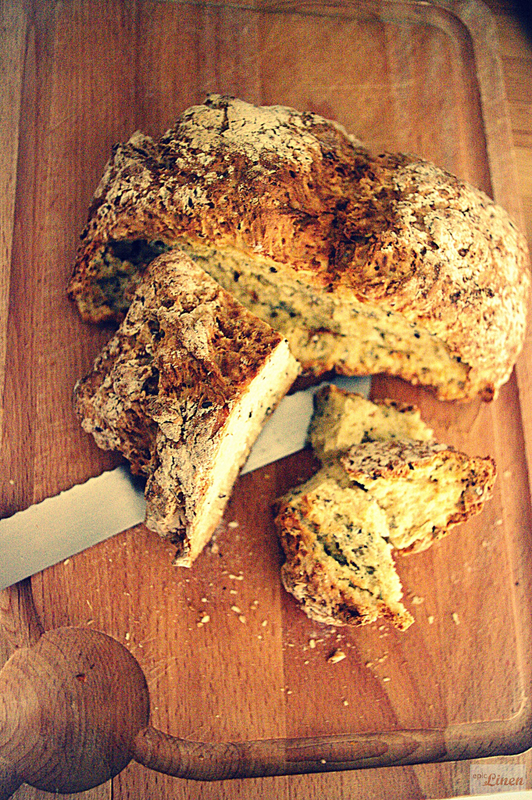 Today I have baked a bread - Farmhouse Soda bread. Mix everything together starting with dry elements and at the end including buttermilk or milk. I find easier to mix dough not by hand but with table knife. Don't need to knead! Make a shape whatever you wish. The most I like - round, nearly cut to the bottom in quaters as you may see in the picture. Preheat oven 220 C/ 425 F/ gas mark 7. 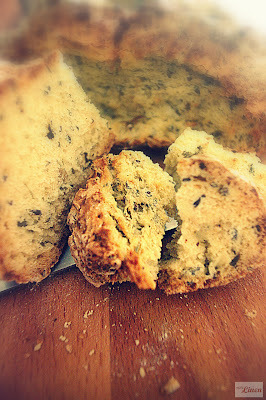 More inspiring bread pictures and recipes. Magical weekend for you all! Thank you, thank you, thank you I love the bread recipes, and that bread looks delicious. 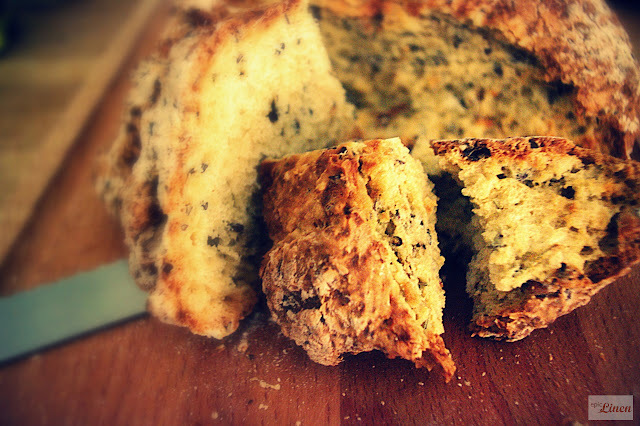 Drop me a line a little later how did you like this bread recipe?